Another U.S. Attorney fleeing before the curtain comes down on the Bush regime. U.S. Attorney Richard Roper is stepping down as the top federal prosecutor in North Texas to become a senior partner at a Dallas-based law firm, where he will handle white-collar fraud and corporate investigation cases. A Fort Worth native, Roper will work in Thompson & Knight’s Fort Worth and Dallas offices. A firm with more than 400 attorneys, Thompson & Knight has other offices in Texas as well as in New York, Mexico and overseas. Roper, 51, has served as U.S. attorney since 2004, but he has worked as a federal prosecutor since 1987. He previously had worked at the Tarrant County district attorney’s office. 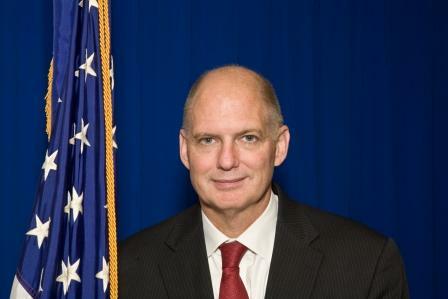 First Assistant U.S. Attorney James Jacks will be appointed the acting lead prosecutor until a replacement is named. Posted: 12/31/08 at 1:07 PM under News Story.